I admit it. I feel much like Scrooge–the pre-ghostly-visitation version of him–this year. Part of my attitude, is, I am sure, the emotional dross that has surfaced in the last few weeks. Another part of my attitude stems from the over-commercialization of Christmas. And honestly, part of it comes from Christians. If I hear ONE more time that Jesus is the Reason for the Season, I might just crack. Don’t get me wrong. I LOVE Jesus. I am SO very grateful He came and lived and died in my place. It is because of Jesus that I can stand perfectly righteous before our most holy God. I thought I was alone in my frustration with this season, but last week, our pastor made this bold statement: “Jesus is not the reason for the season. Jesus is the FOCUS of the season, but WE are the REASON for the season. ” I wanted to shout an Amen, but we are Presbyterians, and despite our pastor’s encouragement to not be known as the “frozen chosen”, I could not make myself do it. The truth is that there would have been NO Christmas if there had been no sin. There would have been no need for the Secret Rescue Plan (as the Jesus Storybook Bible * calls it) if it were possible for me (and you, and the world) to fix the breach between our sin and God’s holiness, between our unrighteousness and God’s perfection. Since only perfection could do it, we were out of the running. Only Jesus could fulfill the law’s demands perfectly. I am keenly aware that I am the reason for the season. …1 Timothy 1: 15 This is a faithful saying, and worthy of all acceptation, that Christ Jesus came into the world to save sinners; of whom I am chief…. …Philippians 2: 5-11 Let this mind be in you, which was also in Christ Jesus: Who, being in the form of God, thought it not robbery to be equal with God: But made himself of no reputation, and took upon him the form of a servant, and was made in the likeness of men: And being found in fashion as a man, he humbled himself, and became obedient unto death, even the death of the cross.Wherefore God also hath highly exalted him, and given him a name which is above every name: That at the name of Jesus every knee should bow, of things in heaven, and things in earth, and things under the earth; And that every tongue should confess that Jesus Christ is Lord, to the glory of God the Father…. So, call me Scrooge. I am over the presents and the trees and the hoopla of all this. I want my children to be excited about Christmas because it signals their redemption from the curse and enslavement of sin. I am not so sure they understand that it really isn’t about the stuff. I am tired of feeling the pressure to spend, spend, spend in order to make sure that their “wish lists” have something crossed off them. 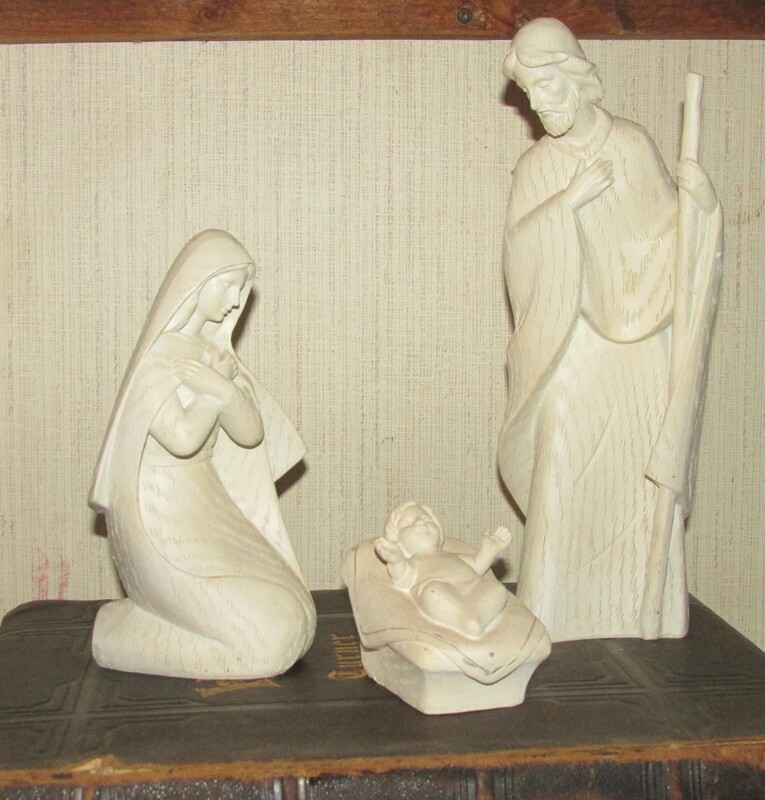 I want to celebrate Christmas in light of Easter, His virgin birth in light of His death and resurrection. My freedom at His expense. yes, we did decorate for Christmas…. 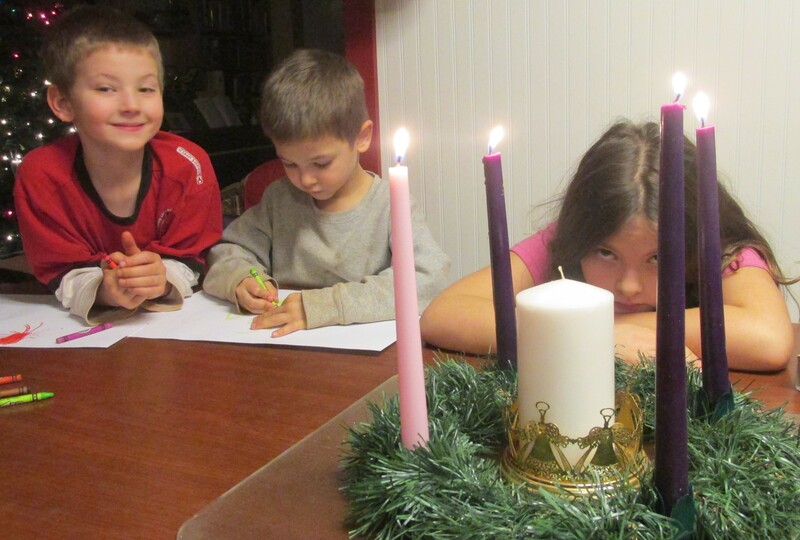 We are even doing some Advent devotionals…. * if you have a young person in your life, you MUST get them the Jesus Storybook Bible! This entry was posted in Uncategorized and tagged celebrate Christmas, children, Christmas, Easter, grace, presents, reason for the season, Scrooge. Bookmark the permalink. I LOVE that storybook bible. We gave it as a gift to Jacob last Christmas, and it is wonderful at making the stories come alive for children. You are not alone in your feelings. I just had this same conversation with my husband a few weeks back. Christmas has become so commercialized and there is so much pressure to buy in to it all. I don’t believe getting in debt to buy more stuff is the best way of celebrating the birth of our savior. Yet, I feel that same pressure every year and it is exhausting. I sometimes feel like the stores tell us how we should be celebrating Christmas. As much as I do enjoy the gift giving part, I want the gifts to actually be meaningful or useful. After all, Jesus gave the best gift of all. We did a little better this year trying to hand make many of our gifts, but there is certainly room for improvement next year. beautifully written and very thought provoking. we had a talk last night that it has been more meaningful for us to spend time with friends this year then waste time finding the perfect gift.